RED HOT: THALAPATHY 61 OFFICIAL ANNOUNCEMENT IS HERE! Vijay, who has wrapped up Bairavaa is currently busy with the dubbing work of the film which is slated to release for Pongal 2017. Meanwhile, there have been lots and lots of speculations going around Vijay's next film, claiming that it will be directed by Atlee, thereby marking the comeback of Theri combo. However, no official statement regarding the same was out all the while. But now, the moment for which people have been waiting for, has come! 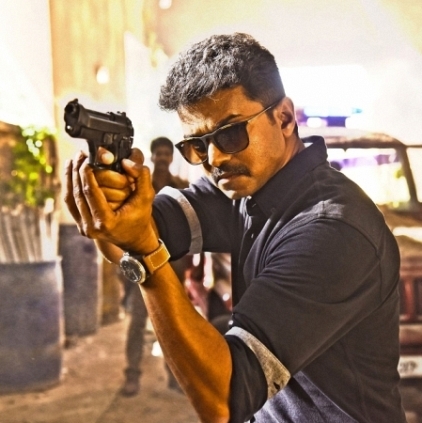 Yes, Vijay's 61st film will be directed by Atlee, as reported and speculated. Producers Sri Thenandal Films announced through their official Twitter handle about the film. They tweeted, "Official Announcement: Script locked today! #Thalapathy61 @actorvijay @Atlee_dir"
This film has Vijayendra Prasad penning the script which has been locked today (17th November). An announcement regarding the female lead and music director is yet to be disclosed and we can hope that it will reach us soon. After Singam 3 and Saamy 2, another mass collaboration beckons? Just in: Nayanthara's next gets a powerful title! Is Suriya the new Godfather? Official: Shocking new combination for Suriya 36!!! Exciting: Selvaraghavan opens up about Kaan, Pudhupettai 2 and Santhanam's film! Will Atlee Make A 2 Heroine Subject For Vijay Again? An Open Request To Ajith And Vijay! People looking for online information on Atlee, Ilayathalapathy Vijay, Vijay61 will find this news story useful.